A heat advisory has been issued for Sunday and Monday in the San Francisco Bay Area as western winds keep cool ocean air out to sea, officials with the National Weather Service said Friday. The advisory was issued at 10:21 a.m. Friday for the San Francisco Bay and Monterey Bay areas. Temperatures will begin warm today and even warmer temperatures are expected on Sunday and Monday. 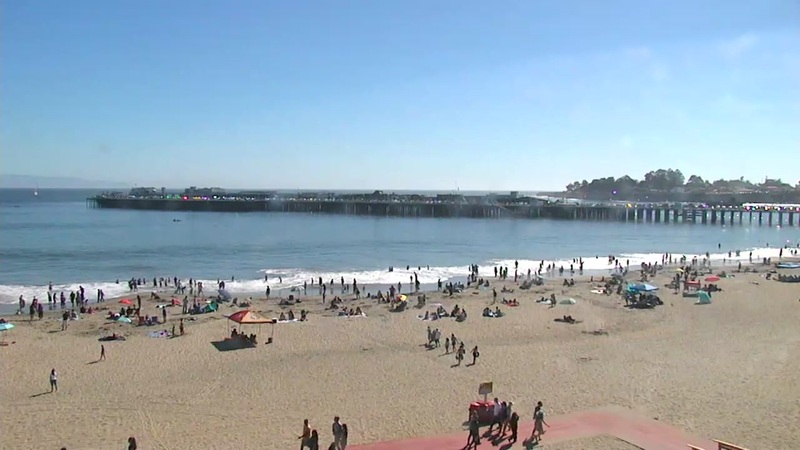 Highs on Sunday are expected to reach 86 degrees in San Francisco, 99 in Concord and 97 degrees in Santa Rosa. In the South Bay, San Jose is expected to reach 92 degrees while Monterey is expected to reach 86 degrees, weather officials said. Monday will be a little cooler with the high in San Francisco expected to reach only 83 degrees. Concord could reach 97 and Santa Rosa 93. San Jose is an exception as the high temperature on Monday is expected to reach 93 degrees. Weather officials said the high temperatures across a portion of the area pose a moderate risk for people who are sensitive to the heat. Residents and visitors should take frequent breaks and drink fluids regularly. Weather officials remind people to avoid leaving a child or pet in a car where temperatures can rise rapidly. The warm and dry conditions are expected to raise the risk of new wildfires. Also, a southerly swell of two to three feet poses a risk to beachgoers who may be caught off guard.